Sun-filled, spacious and updated 2+ bedroom, 1 bath with sun room, dining room and private screened in porch! Apartment features include hardwood floors throughout, decorative fireplace, ample closet space, marble bathroom, kitchen equipped with gas cooking and dishwasher. Laundry in basement and 1 tandem parking spot included in rent. Close to Boston College, Chandler Pond, Rogers Park, Newton Commonwealth Golf Course and everything Brighton Center and Oak Square have to offer. Sorry, no pets. Spacious and updated 3 bedroom and 2 bath duplex in prime Washington Square location. 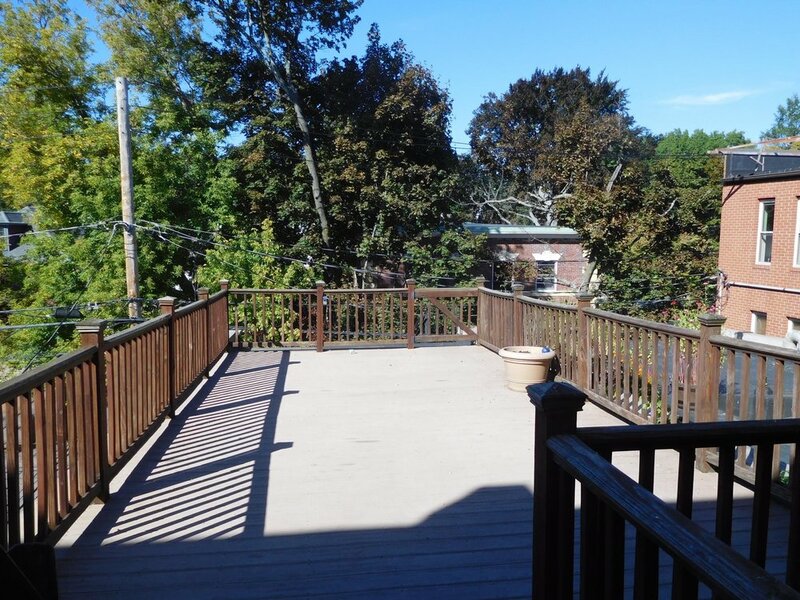 Apartment features include hardwood floors throughout, 4 decorative fireplaces, Central A/C & heat, in unit laundry and HUGE private deck perfect for entertaining! Two parking spots included in price! Pet friendly! 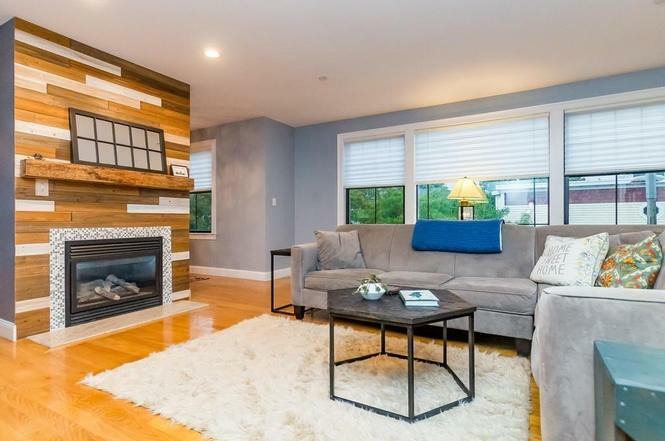 Check out my 3 favorite Jamaica Plain properties currently on the market! Location! Amazing Victorian Penthouse in a Great JP Neighborhood with a Deeded Garage Space! 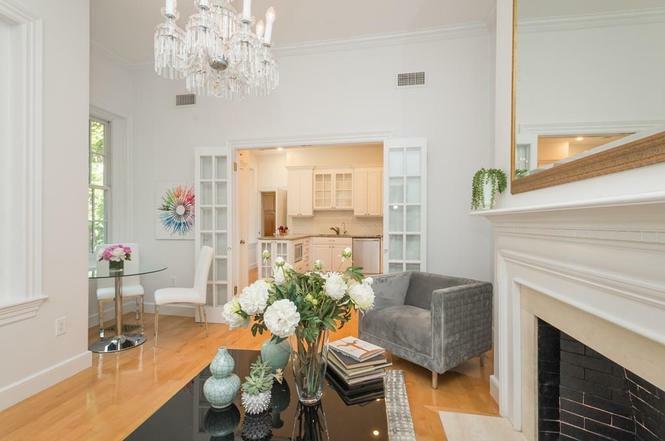 Stunning, bright, and airy are just a few of the words to describe this chic condominium. Vintage modern charm is evident in this spacious unit featuring beautiful gleaming hardwoods, vaulted beamed ceilings, retro sliding barn doors, and dramatic skylights and windows. Kitchen opens directly into the living/dining/great room making an ideal space for entertaining. Open the French doors to the balcony for morning coffee or evening cocktail. Bonus loft space provides a cozy place to read a book. Two large bedrooms with lovely ceiling lines and ample closet space round out this hidden gem. In unit laundry, storage, and garage parking complete this rare find. The pet friendly well managed association provides direct access to the best of JP restaurants, shops,Farmers Market, Samuel Adams Brewery, and Stony Brook T.
Stunning top-floor 4 bed/2bath duplex condo. This lovingly updated, gorgeous home features an expansive open floor plan. White kitchen boasts ample cabinet space, granite countertops, massive center island, stainless appliances, vented range hood, and gas cooking. Two beautifully tiled baths with custom sliding barn doors. Flexible layout with two beds upstairs, two beds downstairs, and two living areas. Soak in abundant natural light through oversized windows. 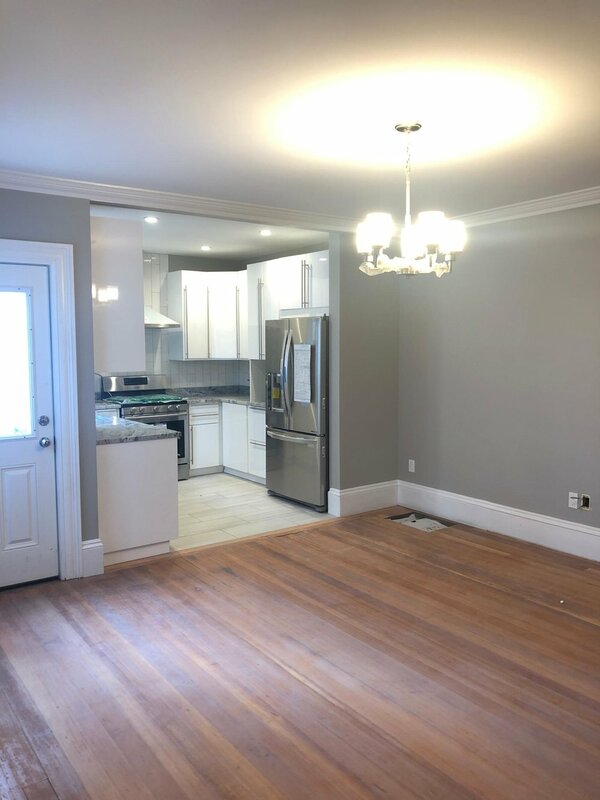 Charming details/updates including refinished hardwood floors, custom bay window seat w/ storage, new moldings, recessed lights, new doors throughout, custom blinds, new baseboard covers, and more. Huge common yard with stone patio was recently created. Private storage in basement. Steps to parks, schools, Jackson Sq. & Stonybrook lines, and all of JPs offerings. Self-managed, pet friendly association. Spectacular New Construction in Beacon Hill that lives like a Single Family home! This Penthouse represents luxury-living at its finest. Completely gut-rehabbed, with all new systems ≠w historic windows. Black and white marble flooring appointed in the building's private entry vestibule. The home comes accustom with a video-intercom with multi screens. Breathtaking Open living/dining room with gas Fireplace, sun-filled kitchen boasts all Sub-Zero and Wolf stainless integrated appliances, complimented by custom cabinets and marble island. On the second floor, the floor through master bedroom suite comes equipped with large his and her's closets, a stunning Spa-like marble bathroom with rain shower, large mirrors and a free standing tub. The secondary bedrooms boast a luxurious bathroom and incredible closet space. The home's most incredible feature is the rooftop lounge with bar, powder room, walk-out roof terrace through wall of sliding glass! INTERESTED IN LEARNING MORE INFORMATION ABOUT THE PROPERTIES ABOVE? CONTACT ME TODAY! Check out my 3 favorite Beacon Hill condos currently on the market! Overlooking the Boston Common from a prominent Beacon Hill address right by the State House, this beautiful residence is located at The Tudor, a picturesque landmark blending architectural charm and modern luxury with the added appeal of vibrant city living in one of Boston’s finest neighborhoods. Light-filled bay windows, two fireplaces, and a recently renovated chef’s kitchen are featured in the spacious three-bedroom, single-level floor-plan which has the privacy of direct elevator access into the rotunda-style foyer. The lovely living room is large enough to encompass an open dining space, while the family/media room also gives versatility for a formal dining room. The dine-in kitchen includes granite counters and a professional-style Wolf gas range. A luxurious marble bath and wardrobe room are part of the large master suite. The building has recently undergone extensive renovations and has a 20-hour concierge providing valet service for additionally available garage parking. Fabulous Beacon Hill coop on highly sought after upper Chestnut. 2 bedrooms plus separate windowed study or studio. 10.5 foot ceilings, versatile well configured square footage. Light bright recently re-done kitchen with courtyard view and open floor plan living area, new energy efficient windows in all but the front historic windows of the unit, three zones of central air...and lots more high end features. Low monthly fee is $1213 of which $587.33 goes towards real estate taxes. 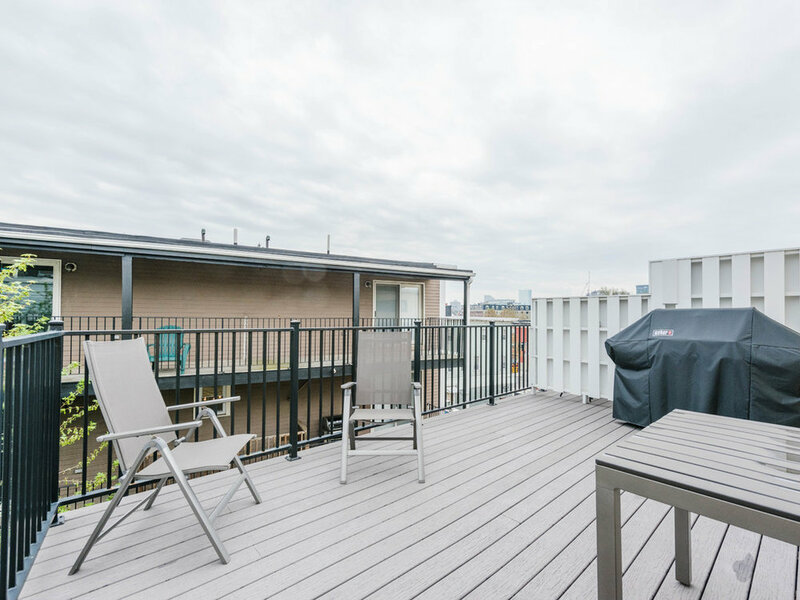 Fabulous ultra large common roof deck with 360 degree views that include the Boston Common and the Charles River. There is a landscaped pocket courtyard garden right outside the unit. Home is above street level and is not garden level. Spectacular New Construction in Beacon Hill that lives like a Single Family home! This Penthouse represents luxury-living at its finest. Completely gut-rehabbed, with all new systems &new historic windows. Black and white marble flooring appointed in the building's private entry vestibule. The home comes accustom with a video-intercom with multi screens. Breathtaking Open living/dining room with gas Fireplace, sun-filled kitchen boasts all Sub-Zero and Wolf stainless integrated appliances, complimented by custom cabinets and marble island. On the second floor, the floor through master bedroom suite comes equipped with large his and her's closets, a stunning Spa-like marble bathroom with rain shower, large mirrors and a free standing tub. The secondary bedrooms boast a luxurious bathroom and incredible closet space. The home's most incredible feature is the rooftop lounge with bar, powder room, walk-out roof terrace through wall of sliding glass! Whether you are planning to buy tomorrow or a year from now, getting acquainted with the market is an important step so you understand the market when the time comes to buy. One way to do this is by looking at properties online websites such as Warrere.com, Zillow.com & Trulia.com*. These are great sites to compare and contrast what you are getting for your money in different areas. It may also help you sort out different amenities you MUST HAVE or things that would be nice but you could live without. *Be aware that sites like Zillow and Trulia aren’t always the most up to date and may have inaccurate information. However, as an overview of the market in general, it is a great starting point. Keeping up with the market stats can be helpful when you are trying to pinpoint where to live. It is a great way to compare and contrast what you’re getting for your money in different areas. Especially in a market like Bostons, where the price per square foot can drastically change zip code to zip code. Want the most updated market stats sent to you? Send me an email with the areas you want and I will send you a report each month! Lastly, meet with a buyer’s agent to discuss your personal real estate goals. A buyer’s agent can go through the step by step process of how buying a home works and hopefully make the process seem less overwhelming. Buying a home is likely going to be one of the fiscally most important decisions you are going to make in your life. Thus you want to have all the help and expertise you can so you feel comfortable about your decision. A buyer’s agent is there to help YOU! The more informed you are, the easier the process will feel. If you’re interested in finding out more information of how the home buying process works. Set up a free consultation with me today! I am thrilled to announce that I will be taking my career to the next level by joining the team at Berkshire Hathaway HomeServices Warren Residential! After building my business over the past 5 years, I have decided to align with a company that will allow me to better serve my clients through the resources of a national company and their commitment to exceptional marketing and client tools. Of course, I will be providing the same personal service and market knowledge that has defined my brand since entering the world of real estate. Please be sure to add my new contact information below. I look forward to connecting with you soon!